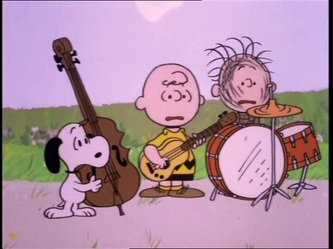 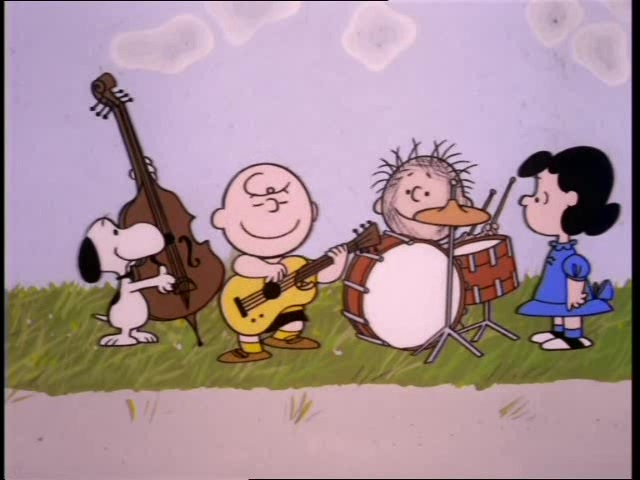 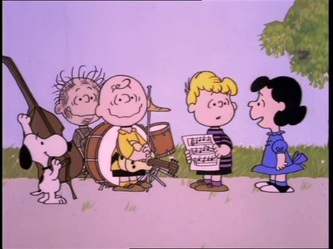 Specials 50 - Snoopy And The Gang! 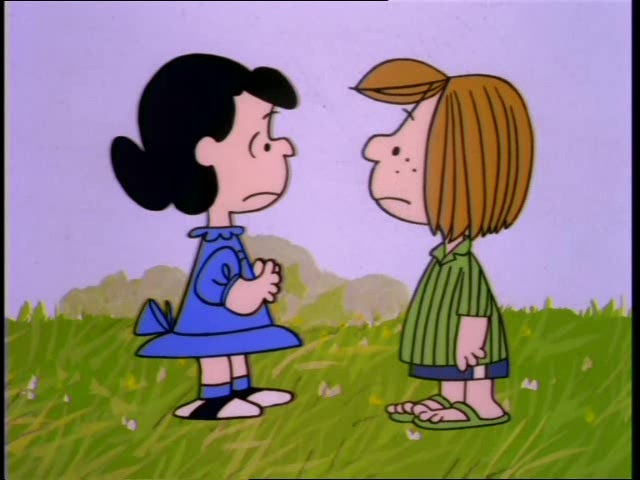 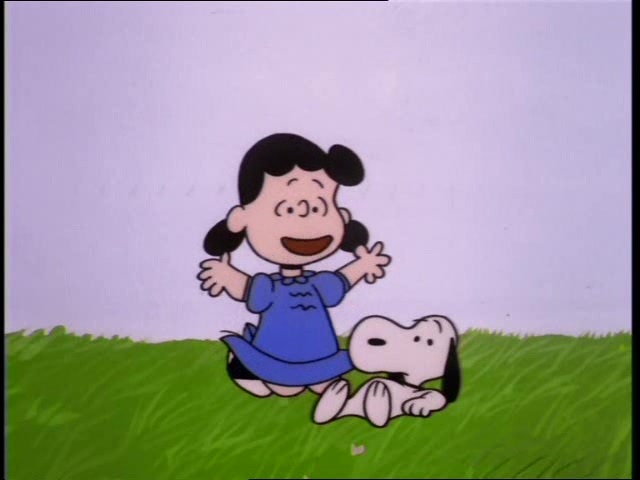 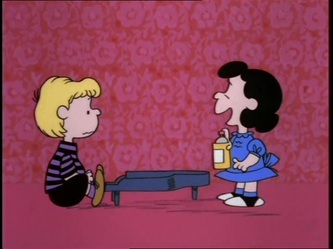 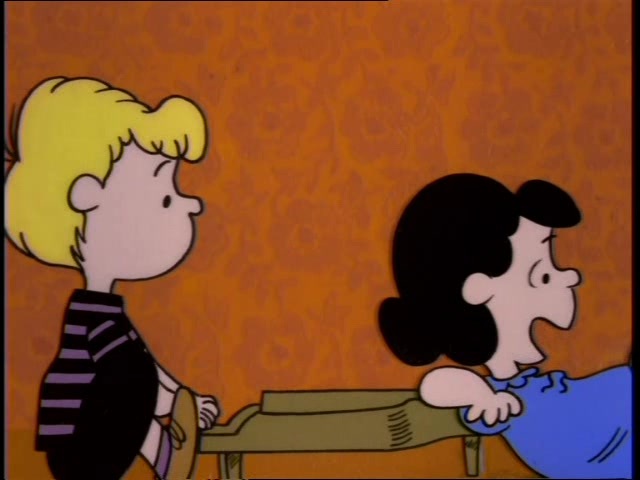 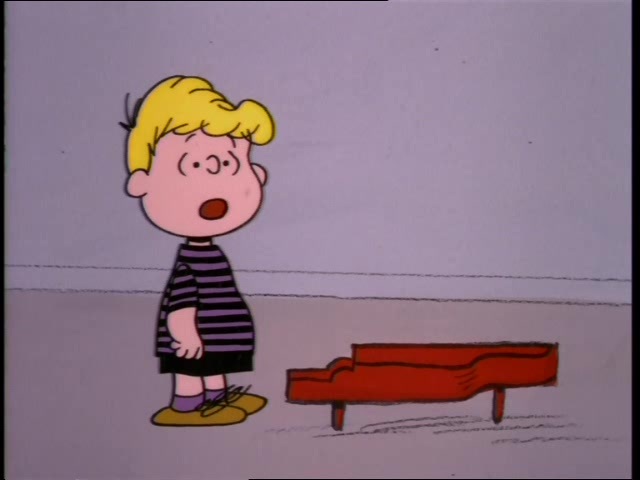 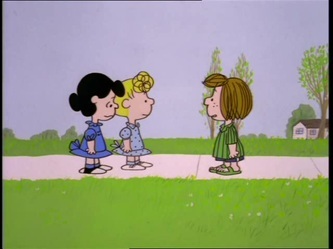 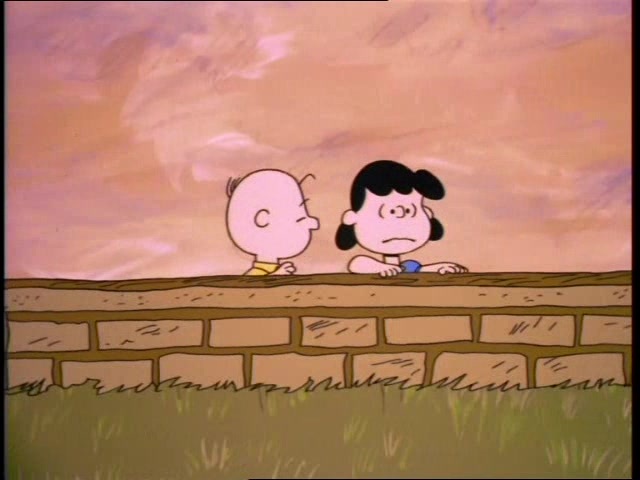 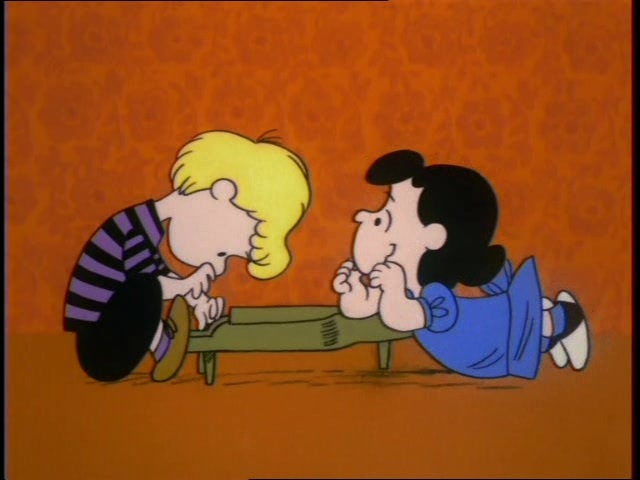 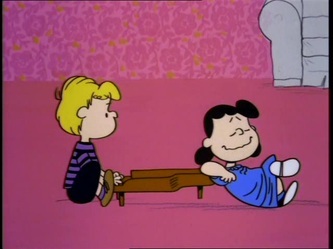 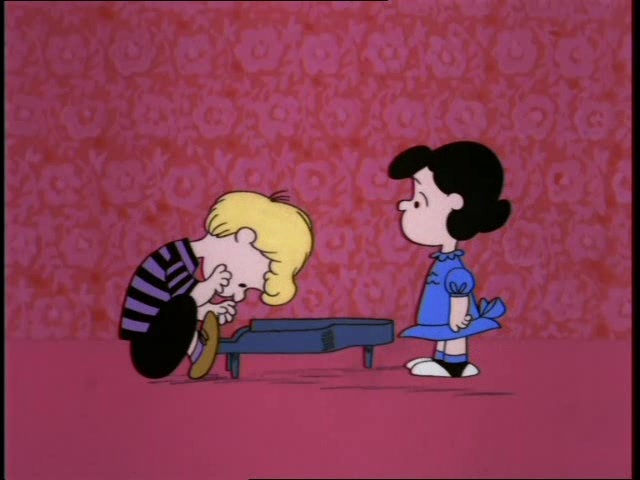 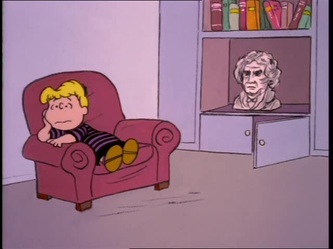 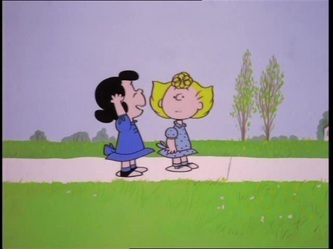 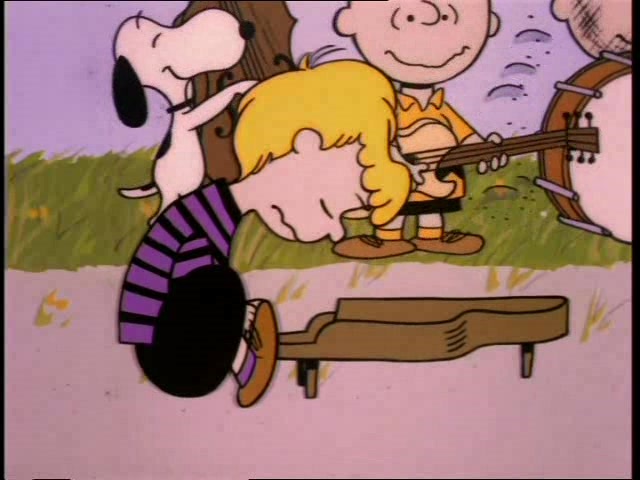 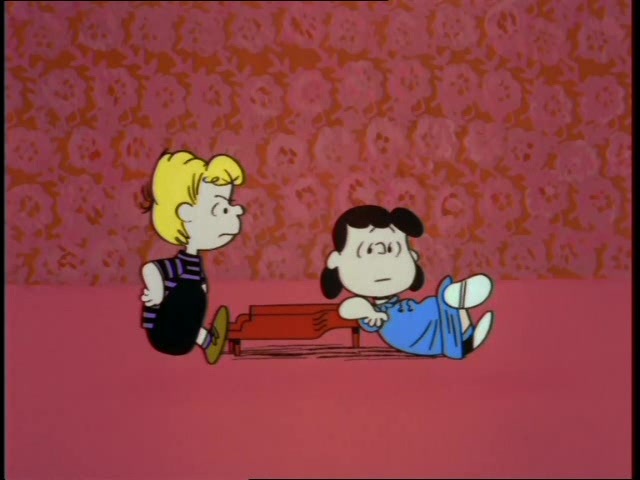 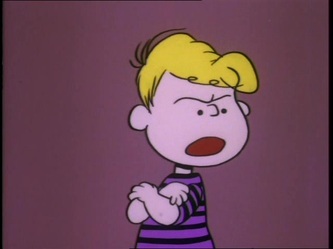 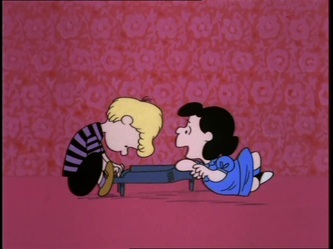 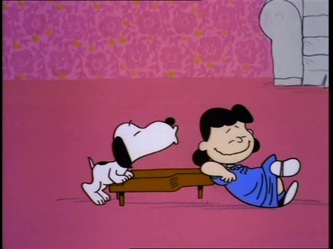 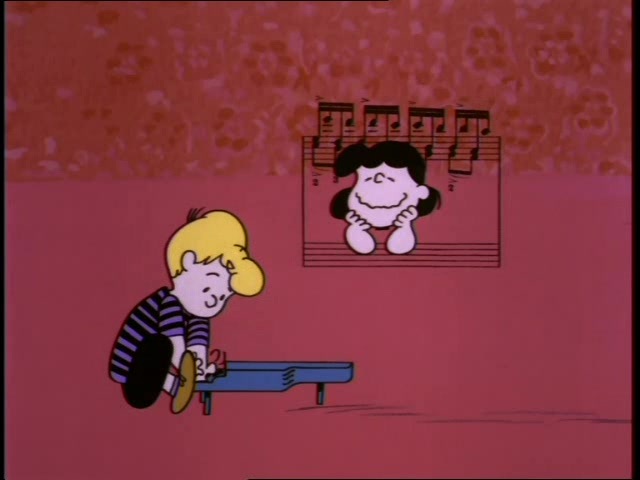 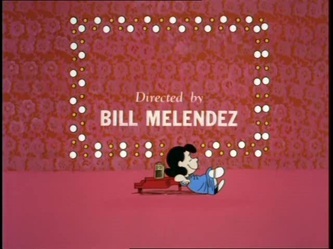 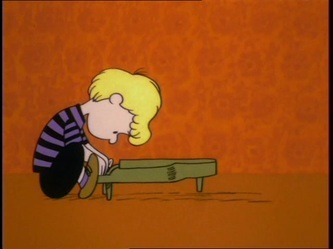 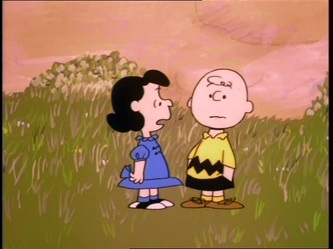 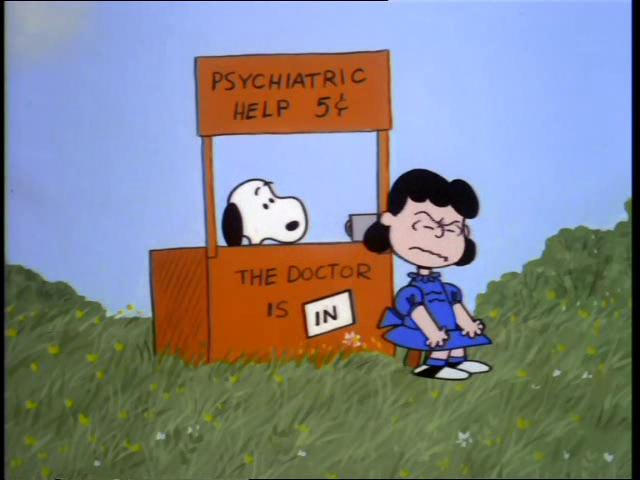 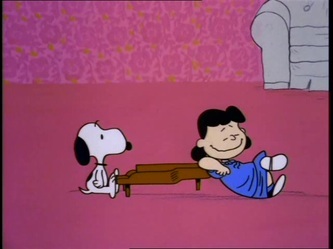 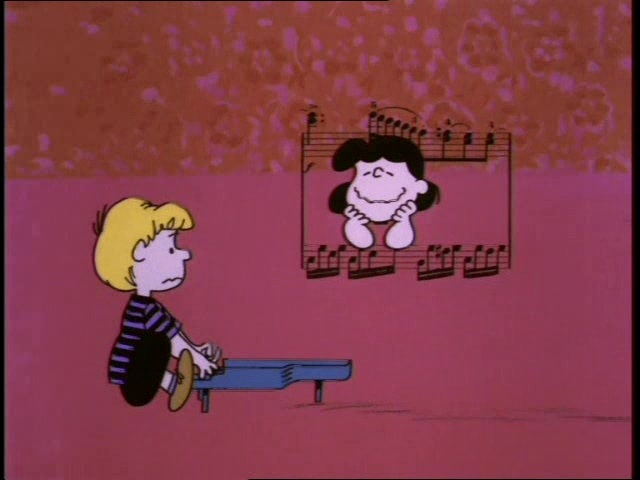 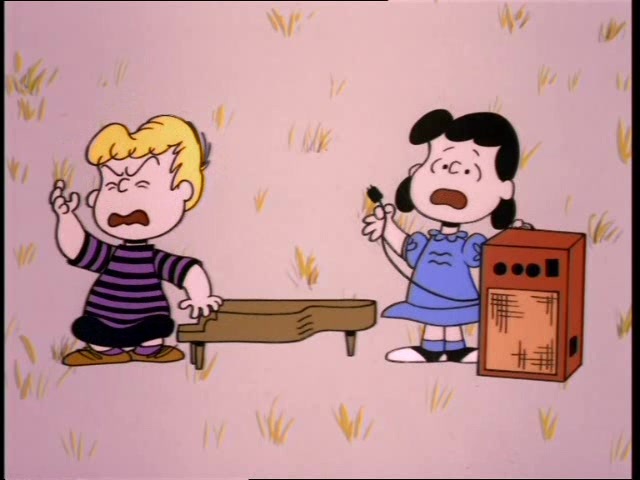 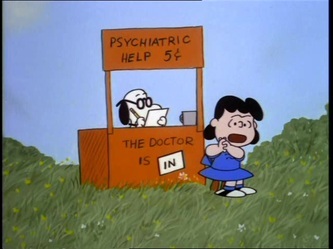 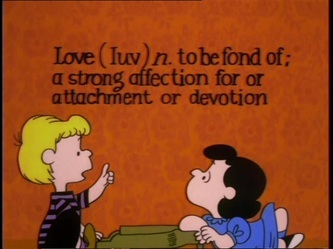 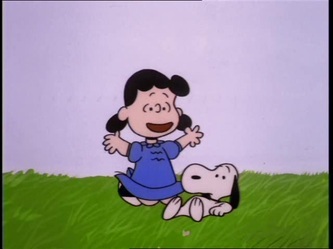 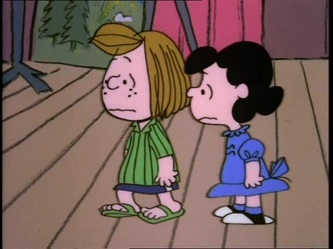 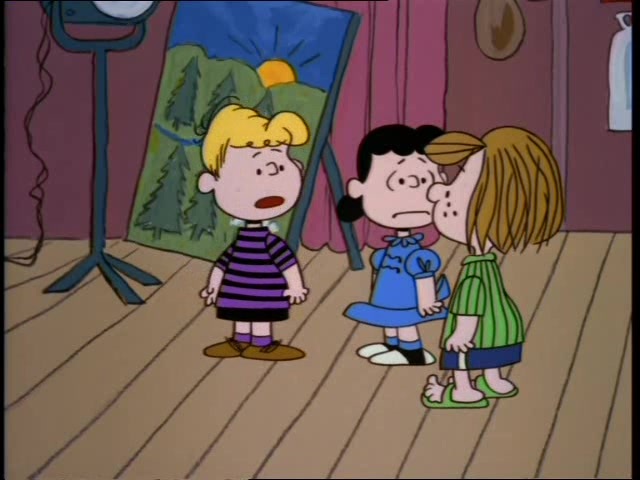 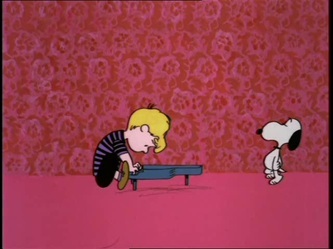 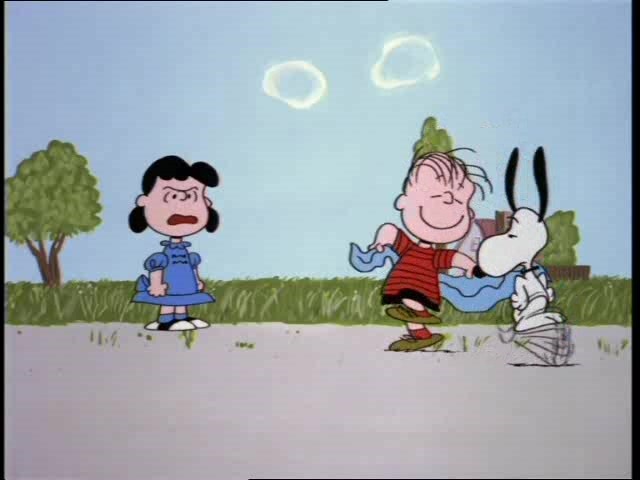 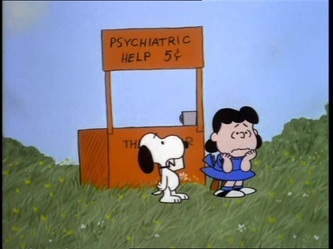 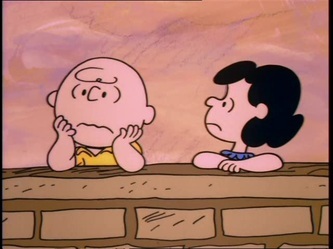 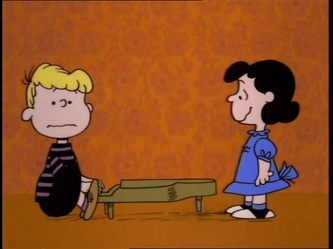 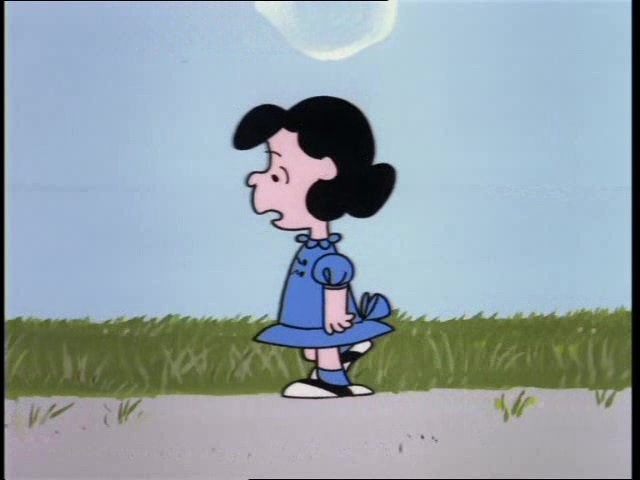 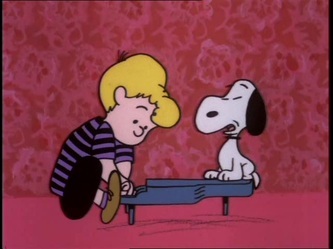 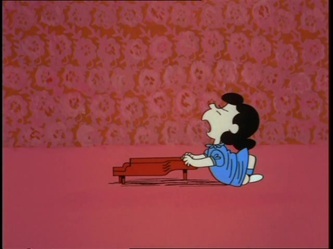 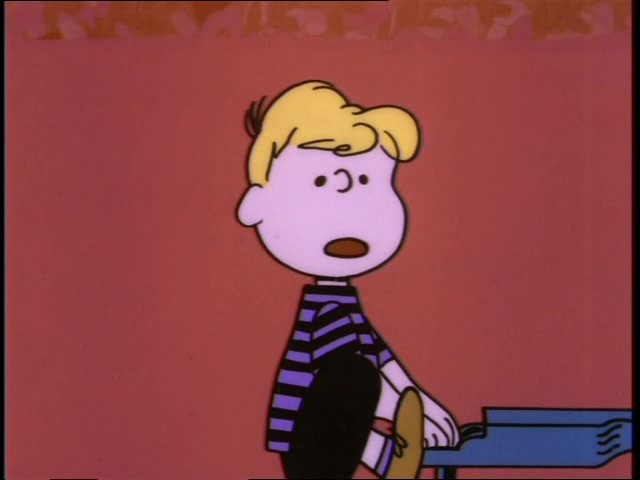 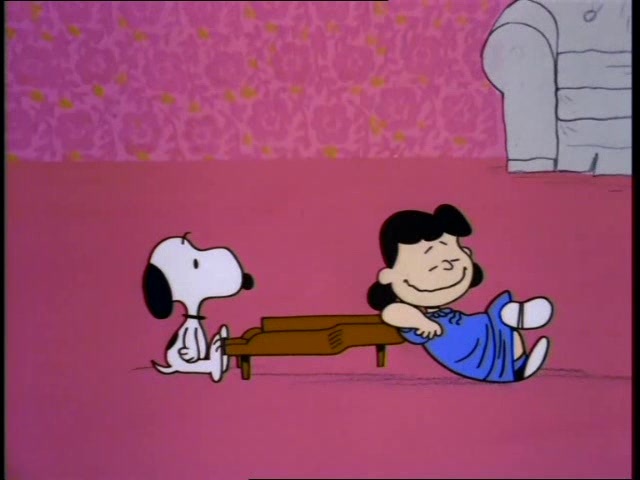 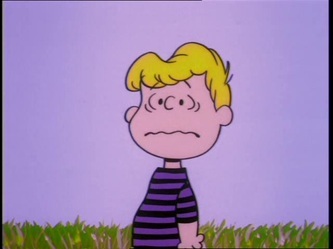 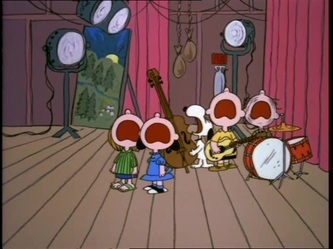 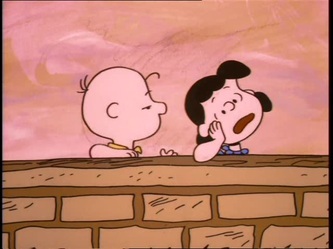 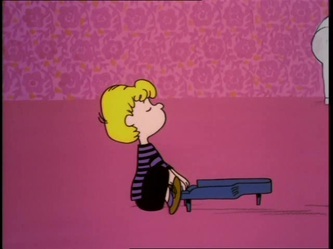 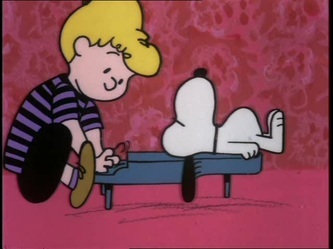 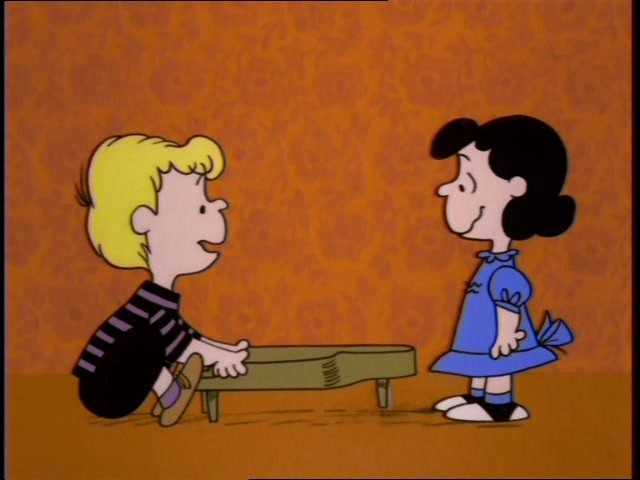 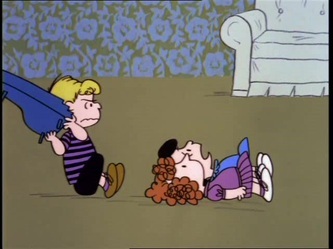 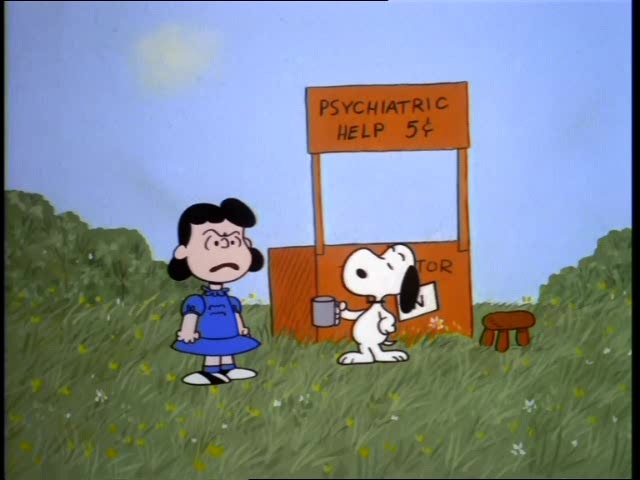 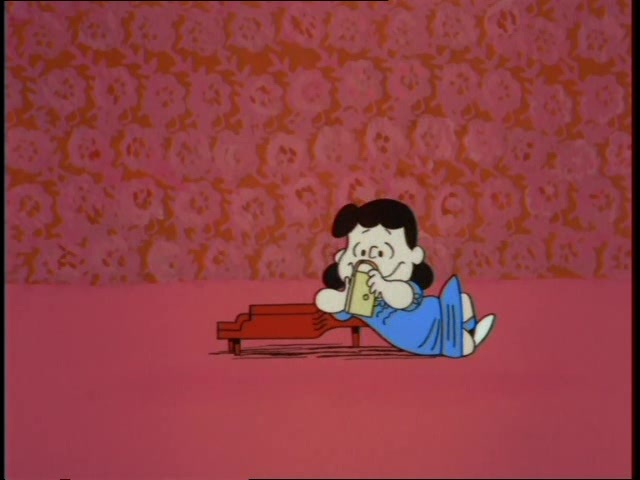 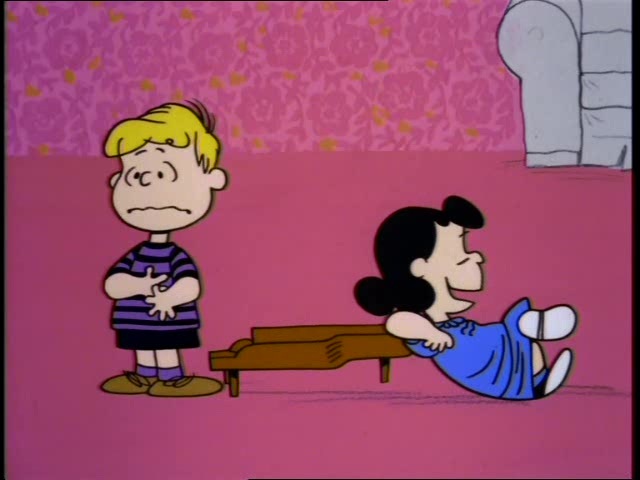 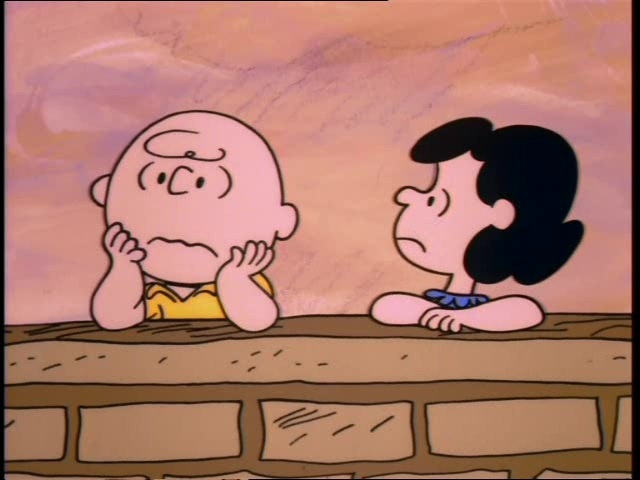 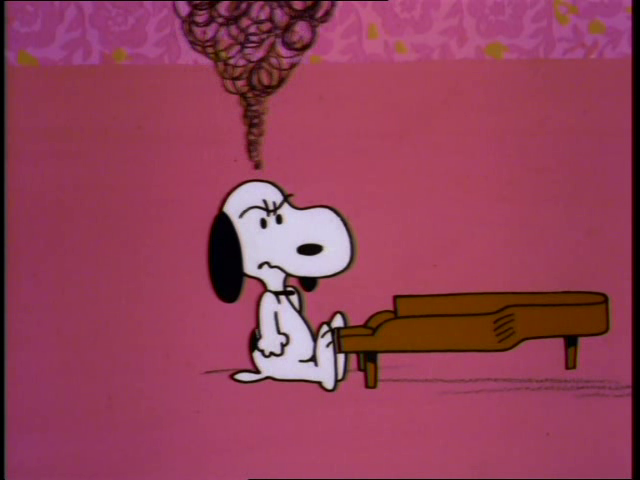 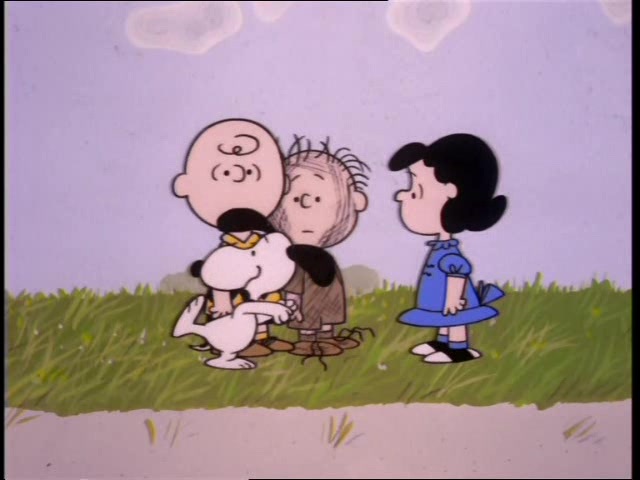 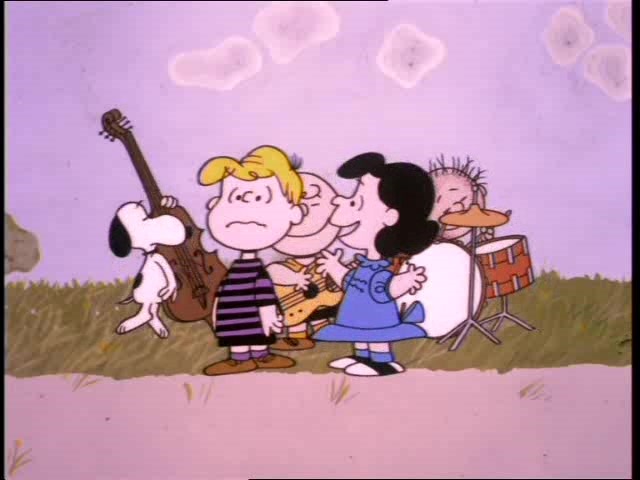 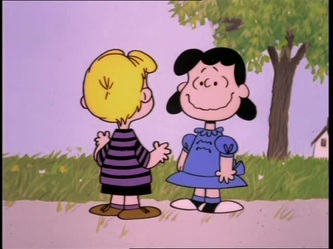 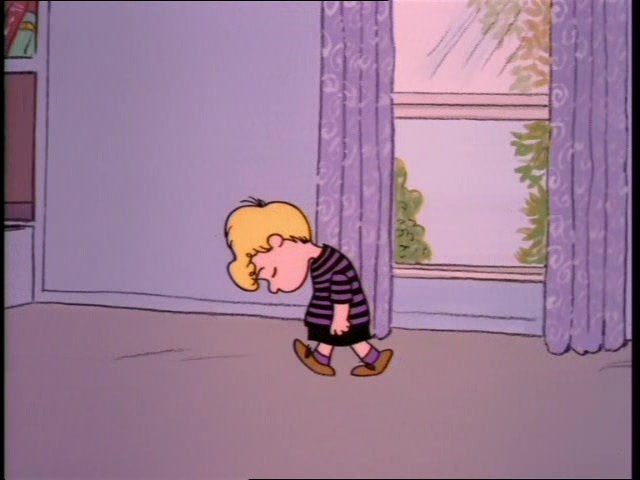 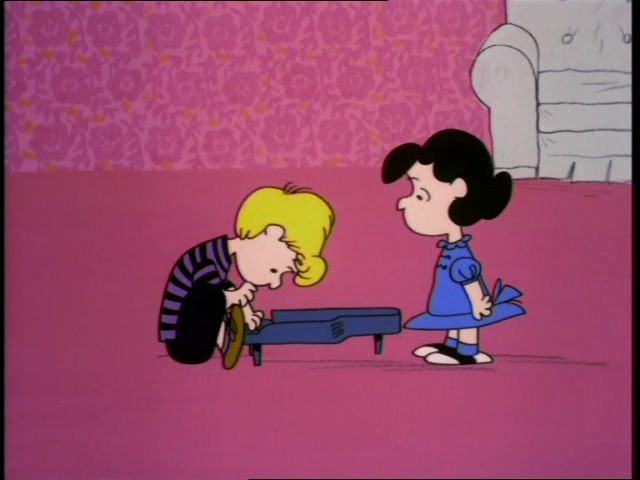 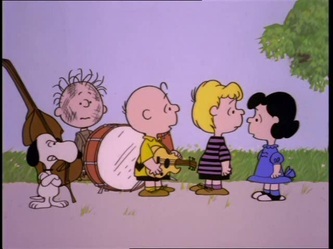 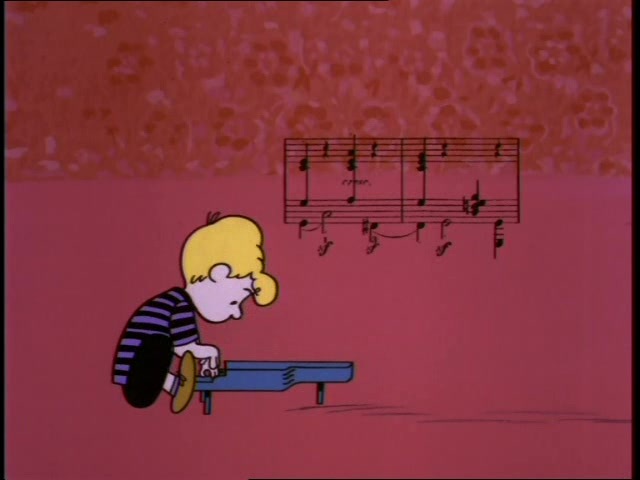 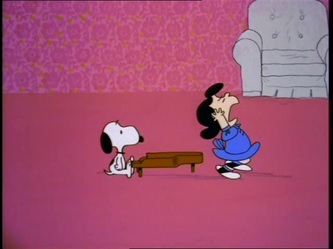 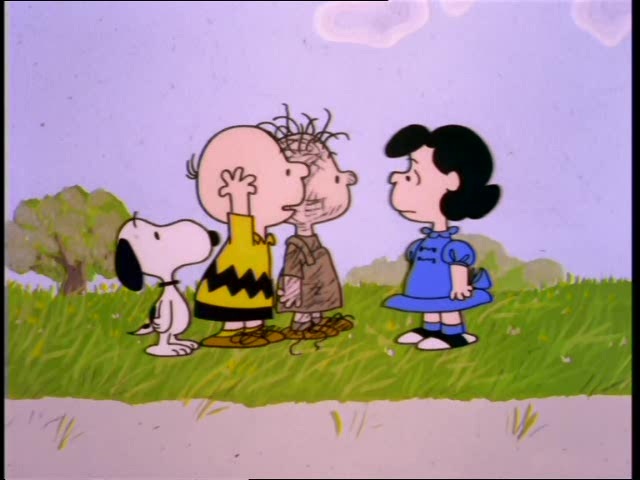 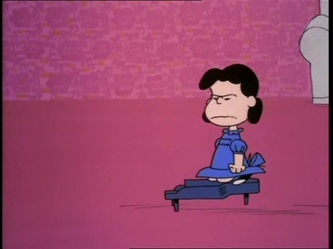 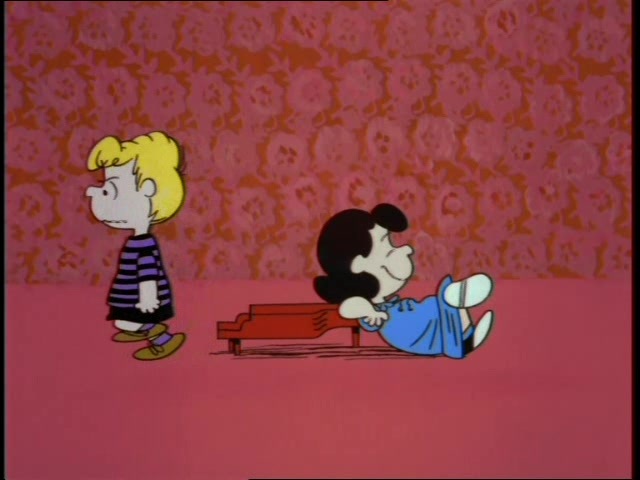 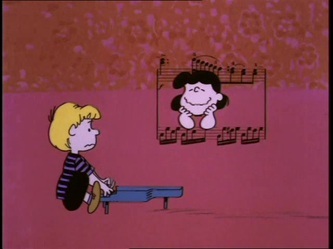 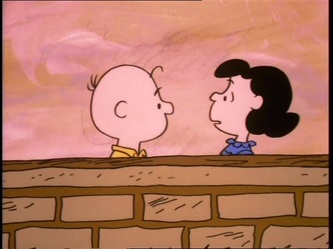 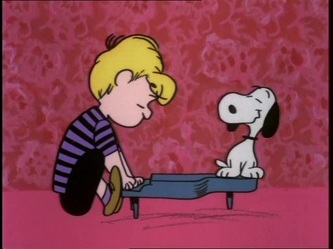 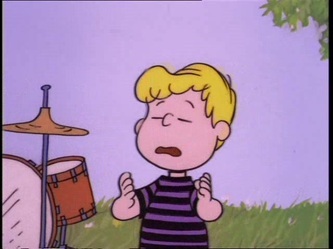 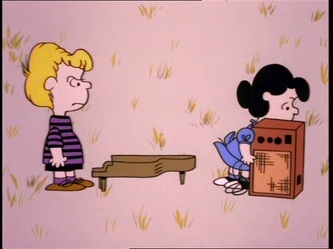 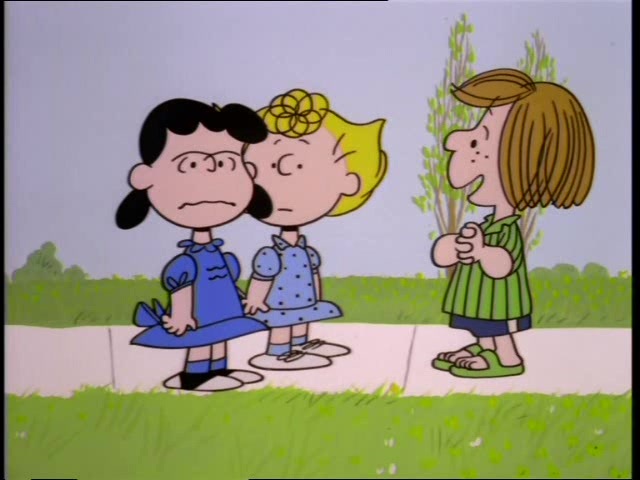 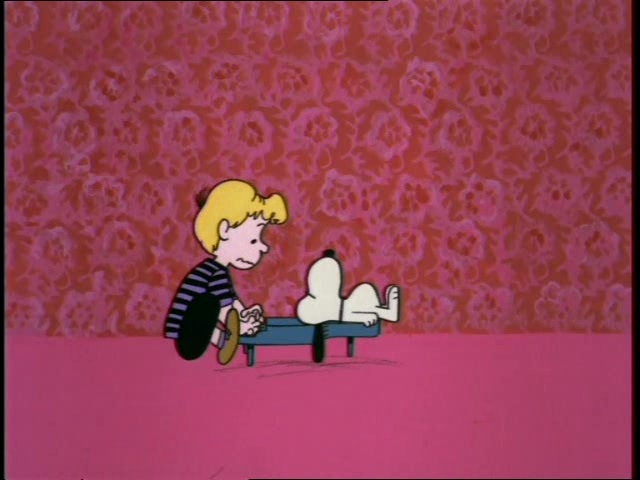 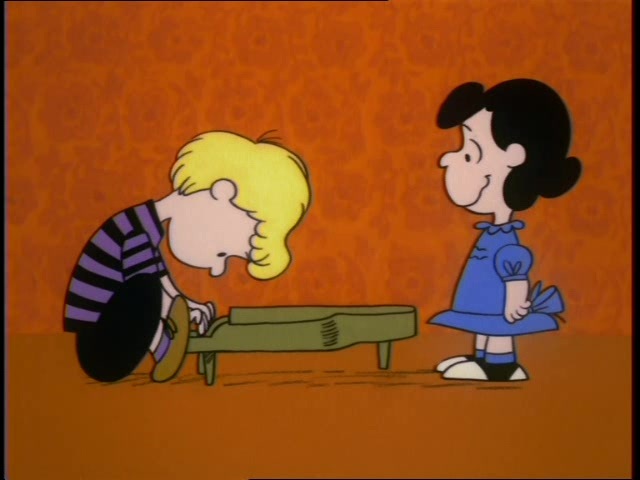 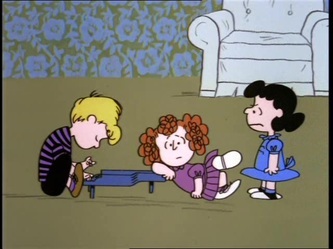 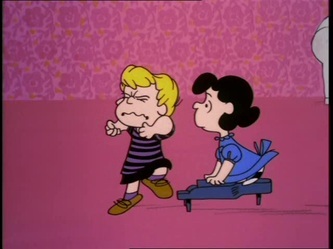 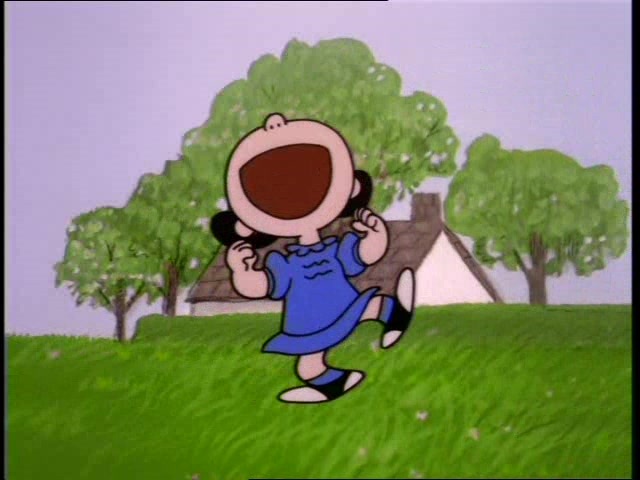 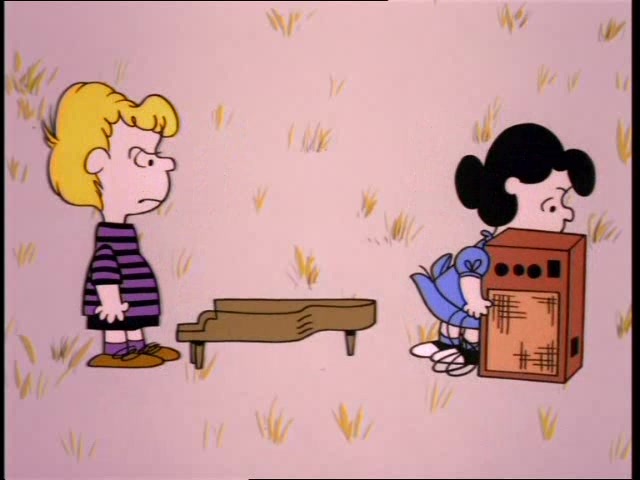 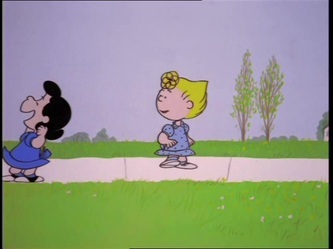 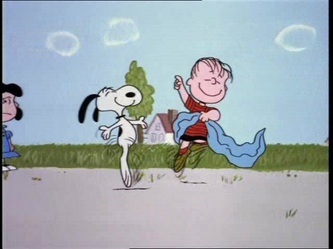 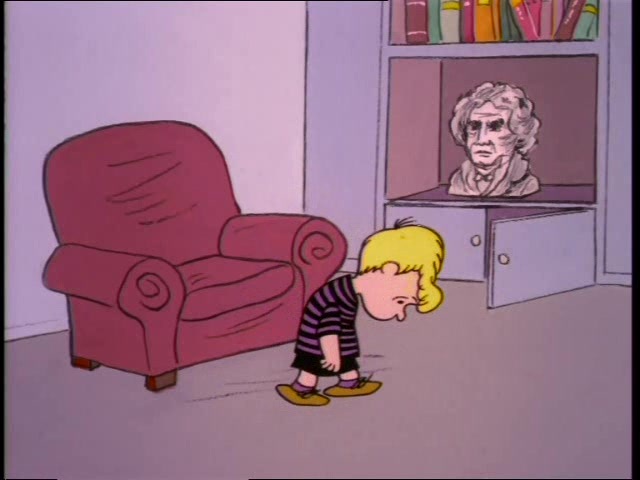 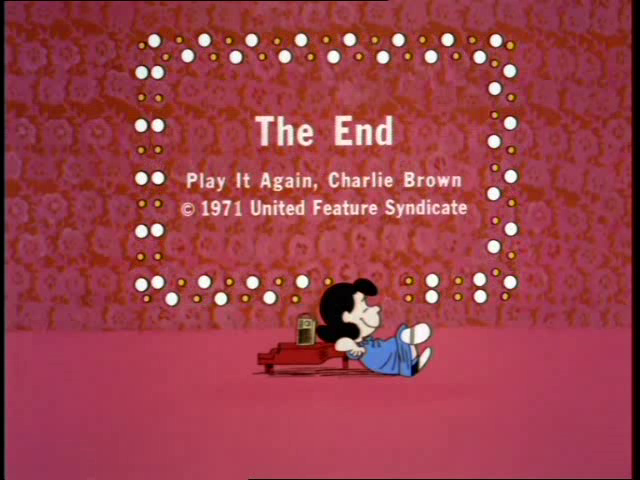 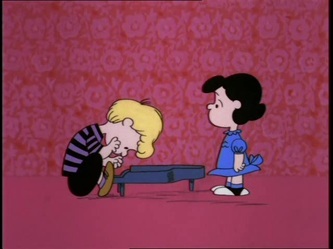 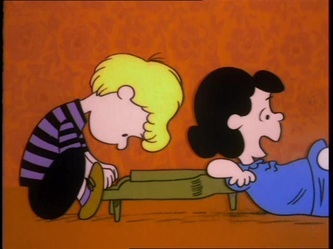 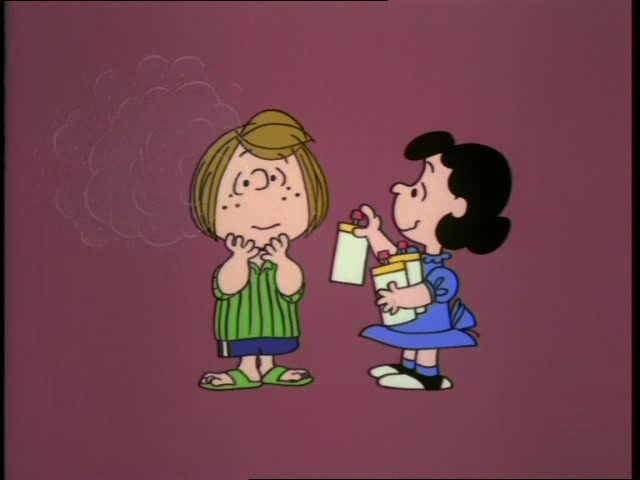 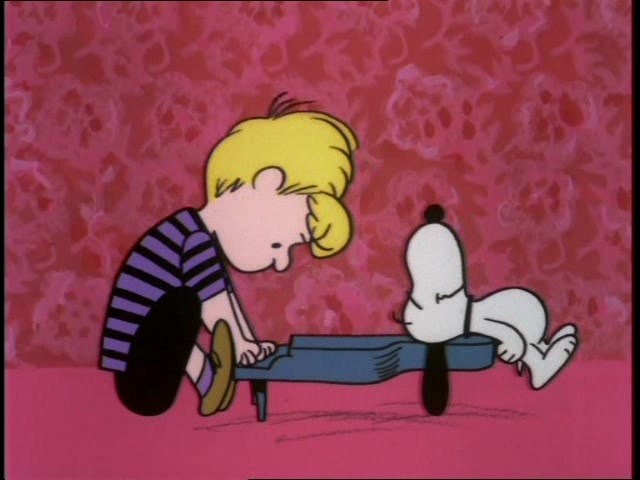 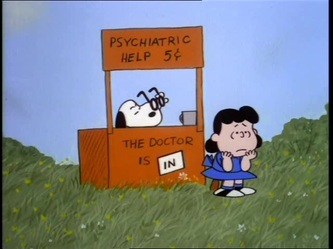 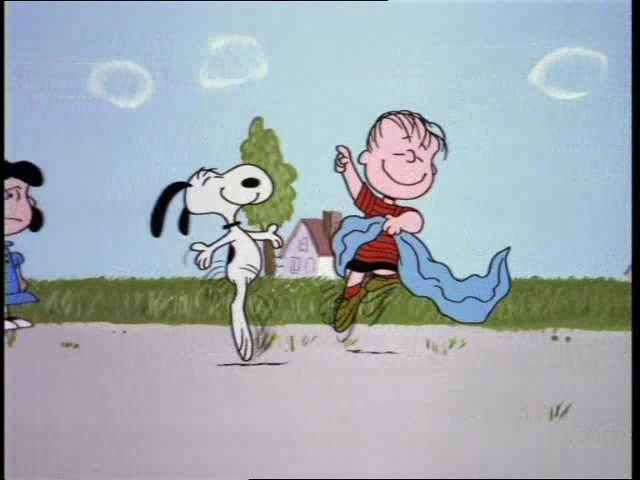 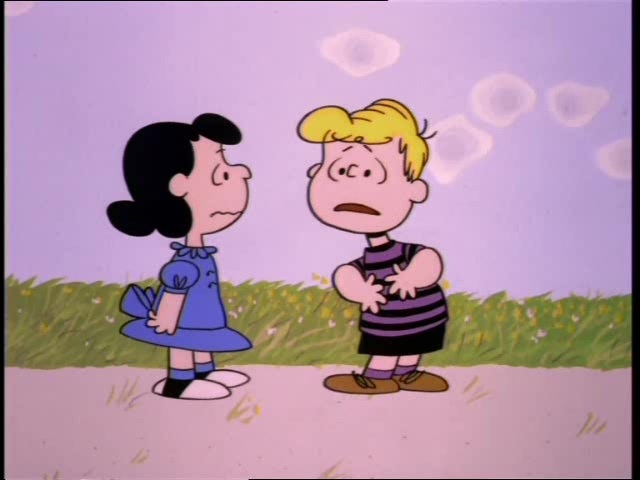 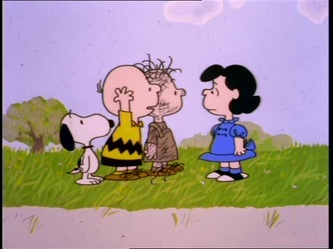 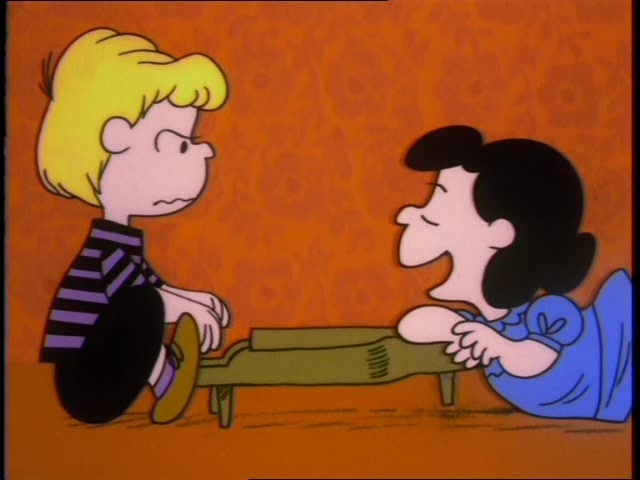 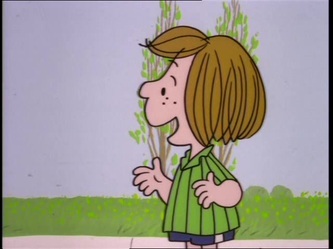 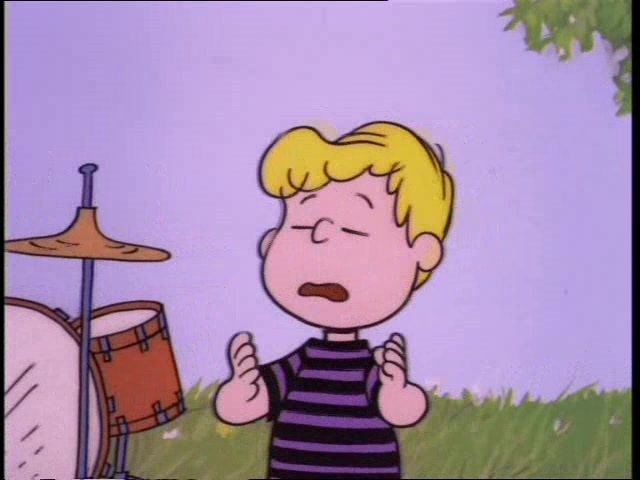 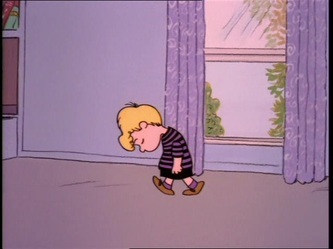 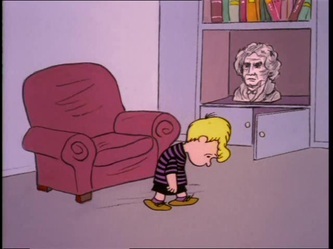 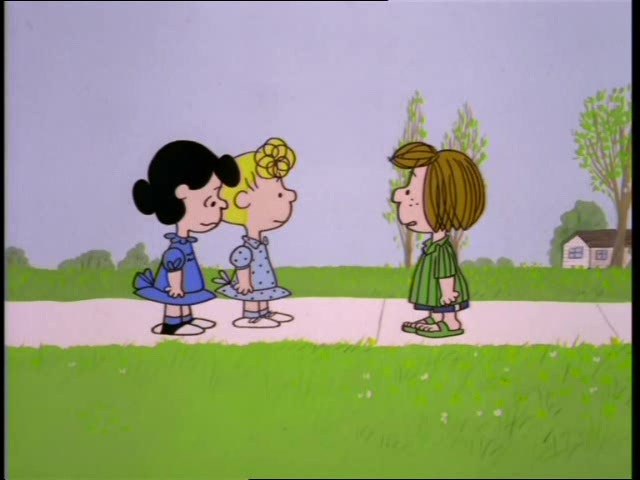 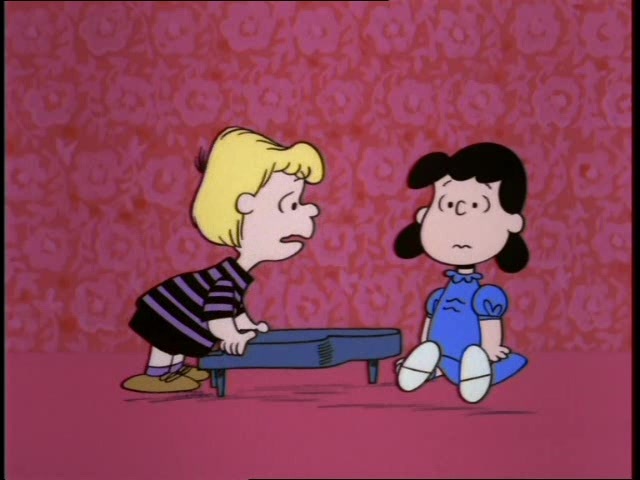 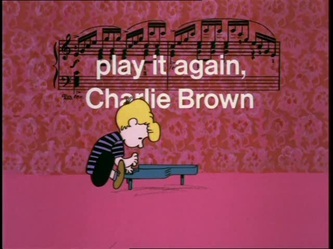 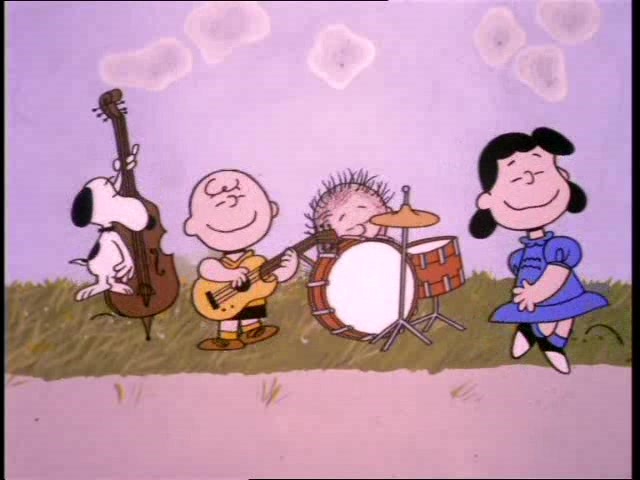 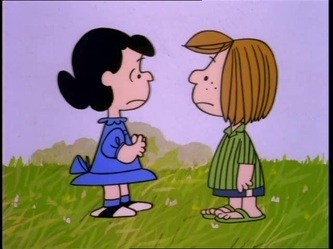 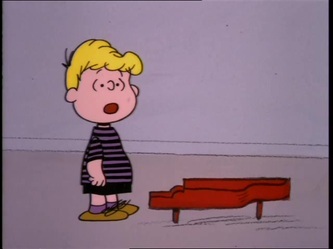 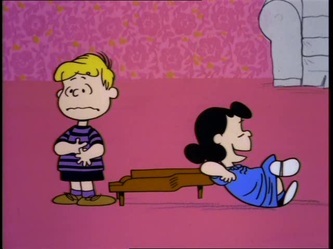 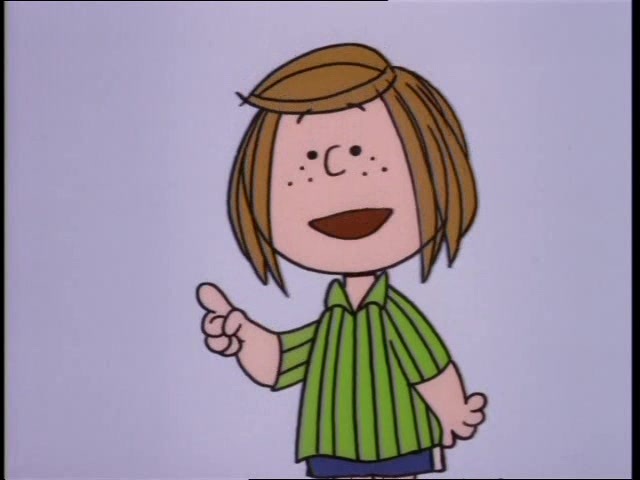 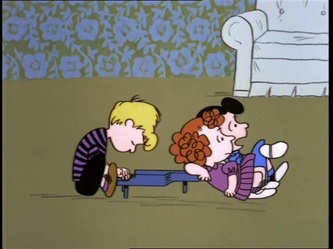 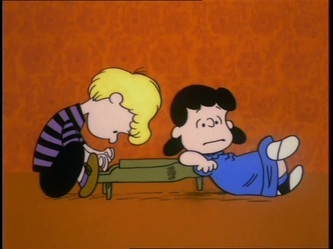 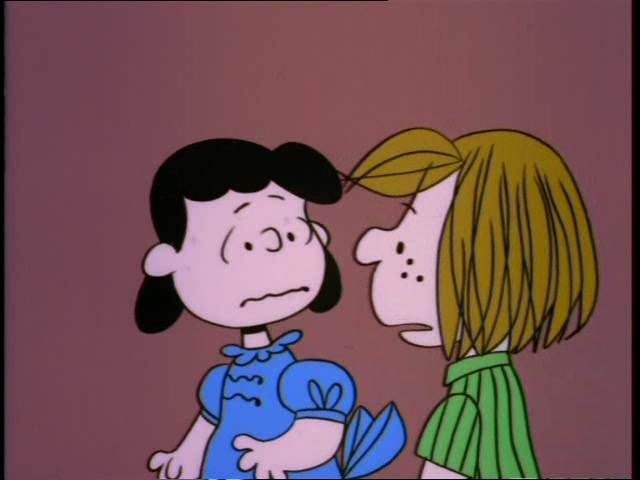 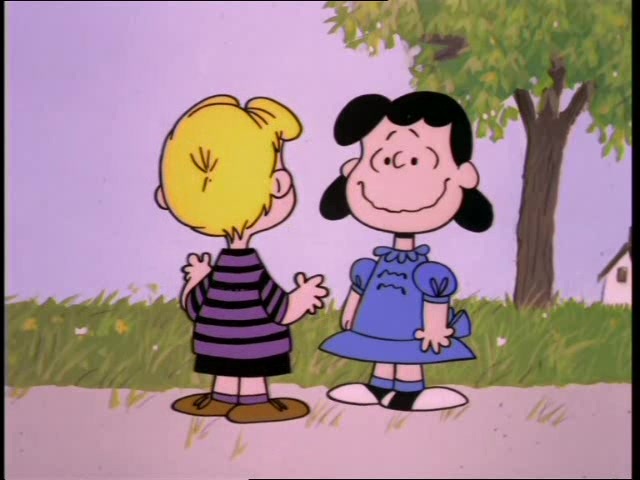 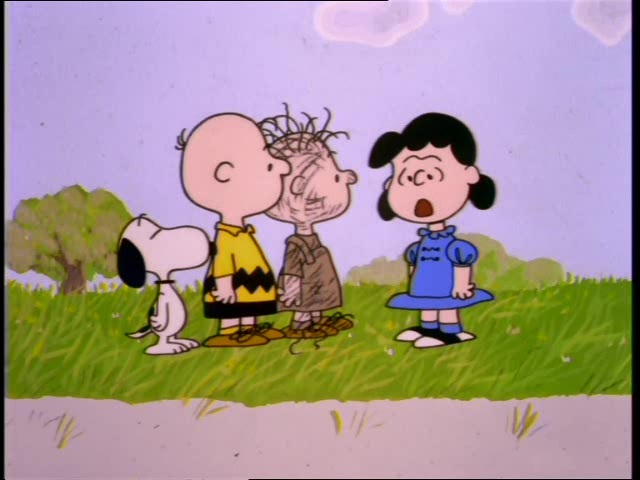 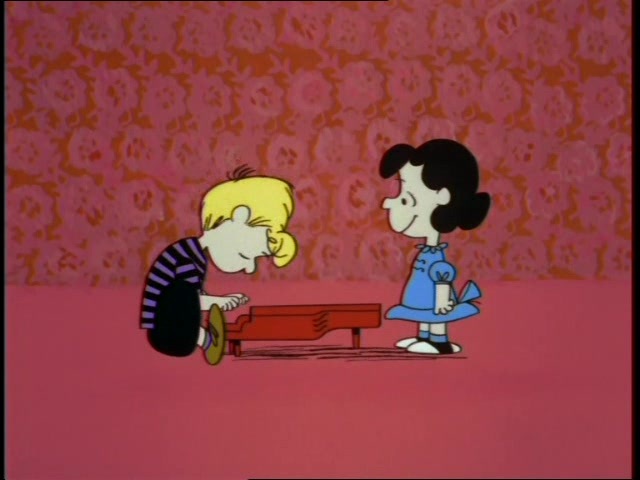 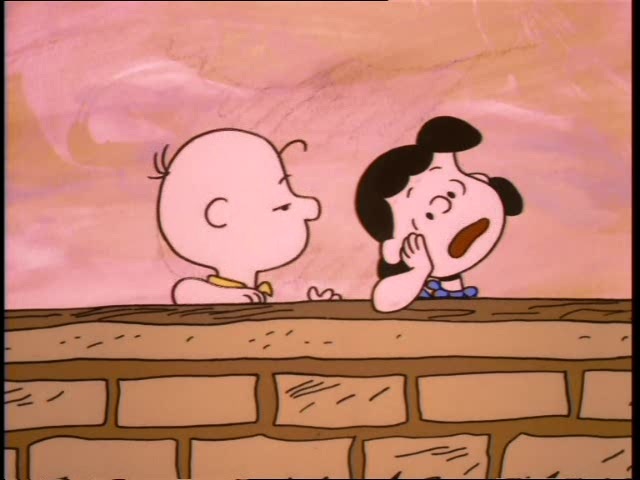 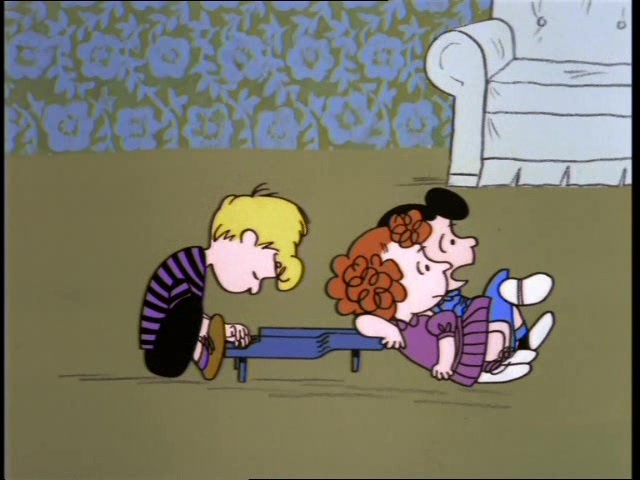 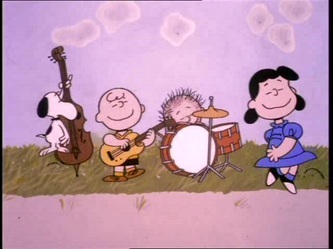 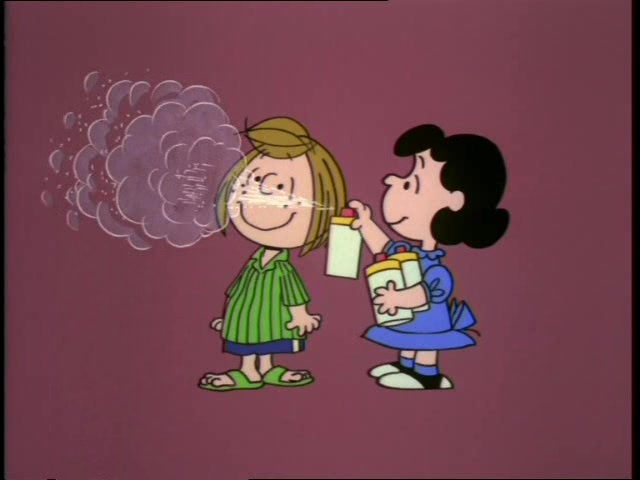 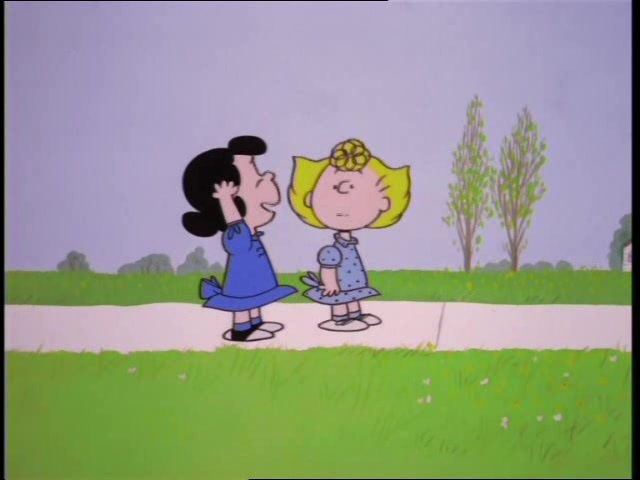 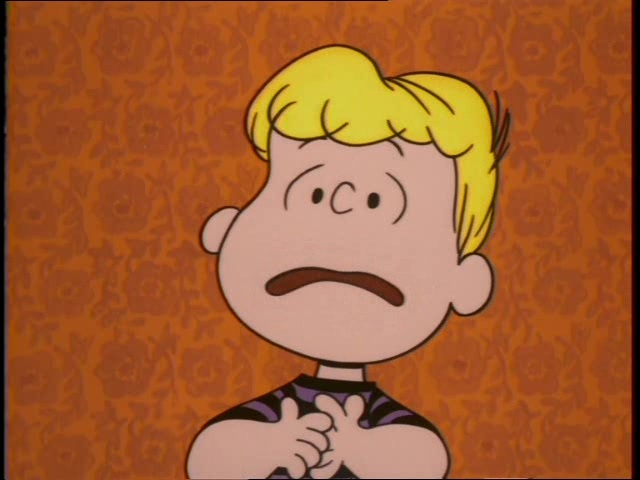 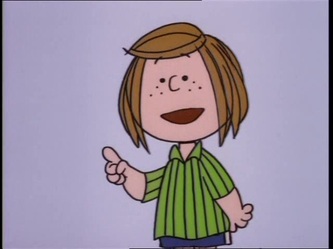 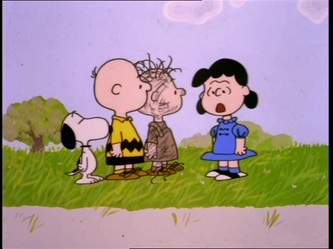 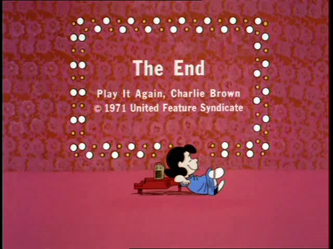 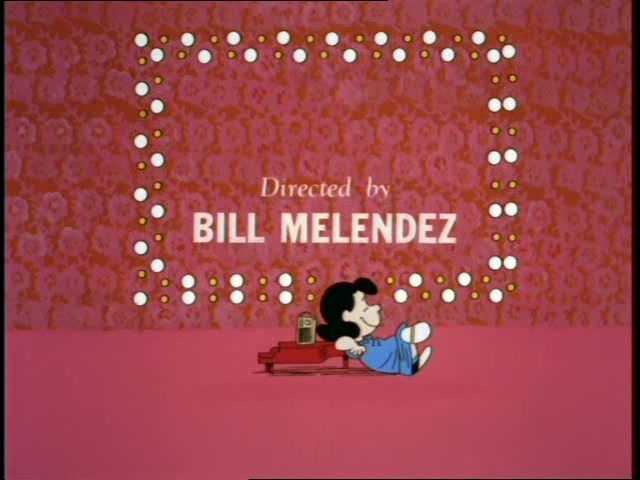 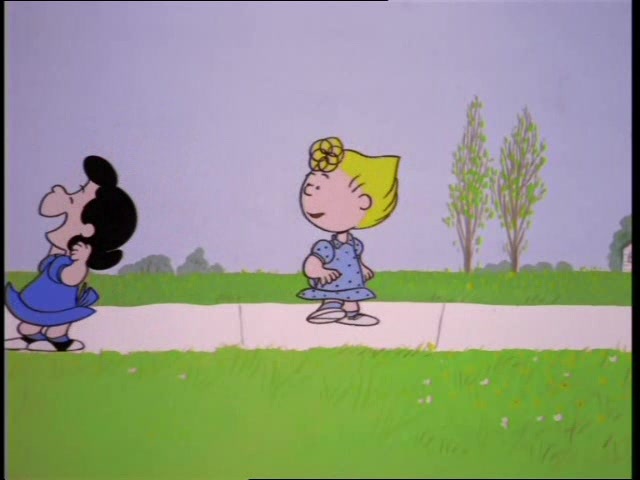 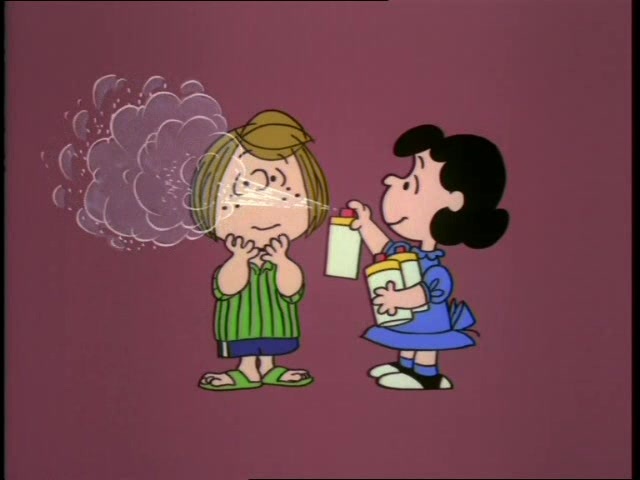 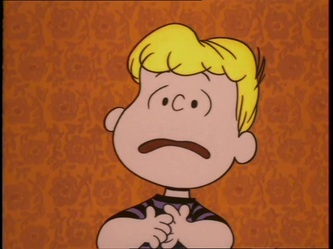 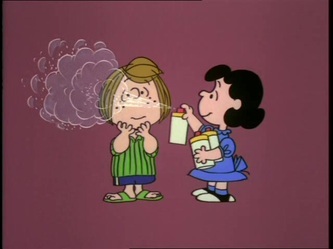 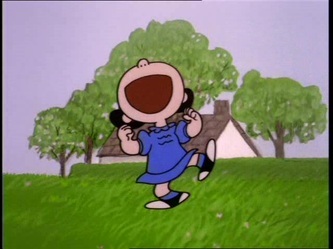 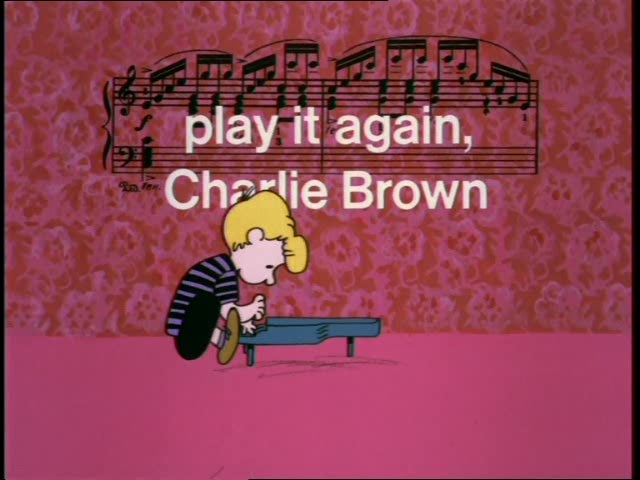 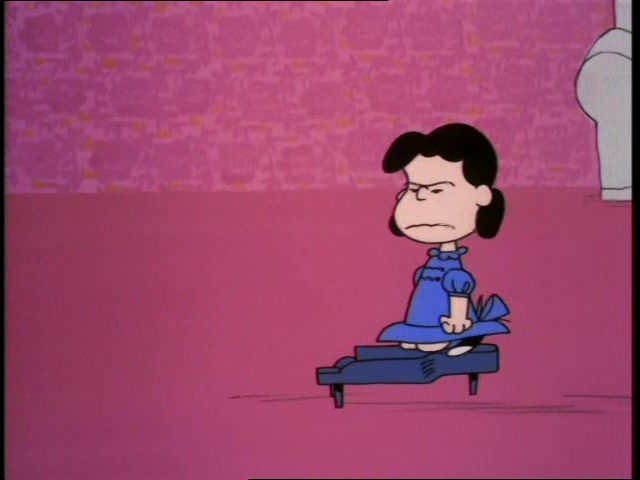 In this special, Lucy attempts several times to win Schroeder's affections. 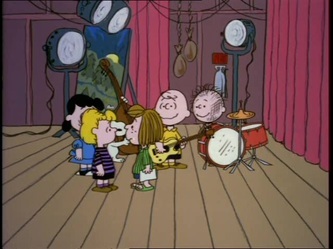 At one point, she suggests that he perform with some of the gang at a PTA benefit, in an effort to win him over. 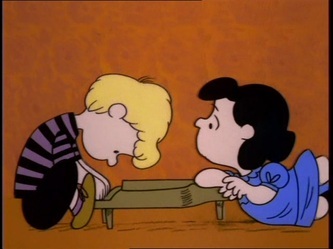 But, she finds out that the music they play is not Schroeder's kind of music. 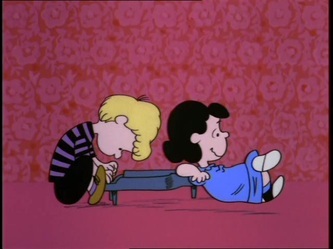 He tries to play along, but he just can't quite get into it. 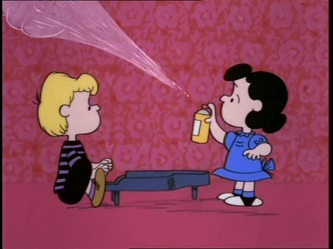 comes in spray cans! At least, Lucy says so.